Sadly there is no indication that the firmware (FW) has completed, I left my camera for at least 10 minutes after installing the FW. In my first GH5 the camera powered off and never powered on again, giving me a very tense 15-20 minutes, I finally decided to switch it off and on and v2 FW was on the body. Second camera worked as Panasonic predicted. 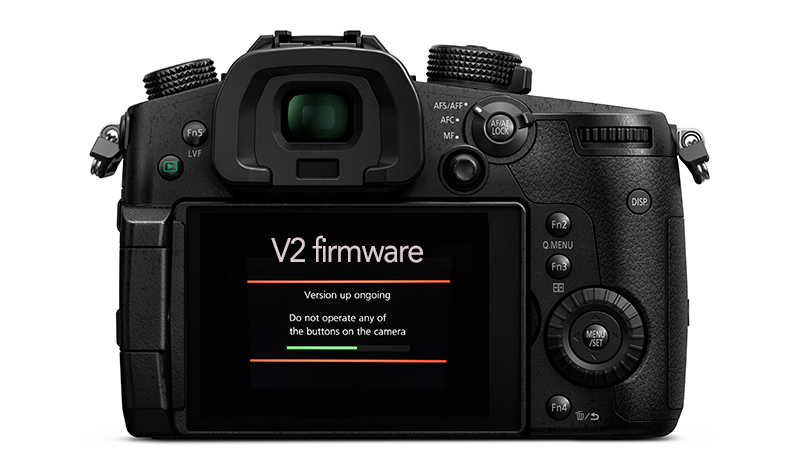 Once the firmware update process is completed, the camera body will turn off the power and turn on again then it will be initial mode automatically. To verify the version number, follow Step1 at the beginning. Upon the confirmation on the camera body firmware version same to the one you downloaded, the firmware update is completed. Remove the SD memory card. Here is a video produced by Simon Beer from Production Gear, taking you through the upgrade to V2. 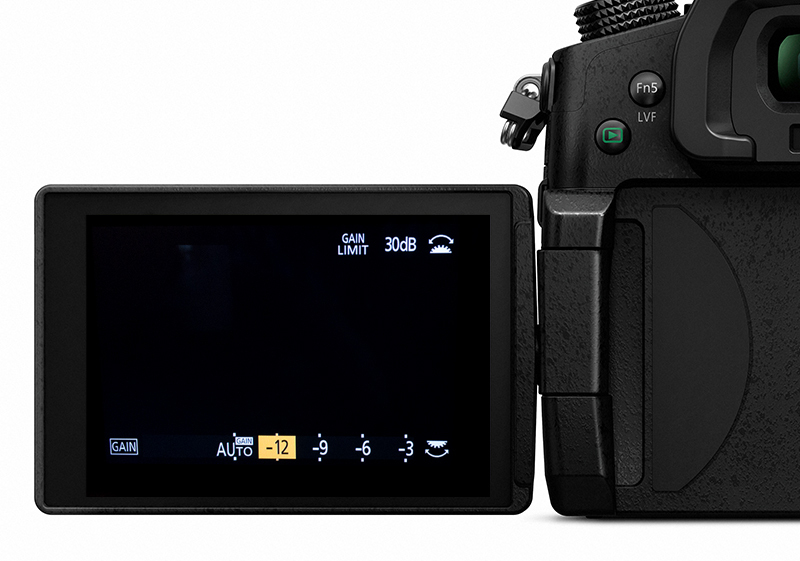 As an added bonus you can now choose from -9 and -12 dB giving you more latitude while filming in sunlight. note you need to have EXTENDED GAIN SETTING switched on before this is enabled. This can be found in the spanner with the c beside it then choose EXPOSURE and you will find it in menu one at the top. The instruction are clear that when completed the camera switches off then back on in normal mode. That is the indication its complete. You can check status by trying again or checking version in the menu. Mine went exactly as the instruction described. I also updated my lens too. What negative gain does is REDUCE a cameras ability to roll highlights off nicely – reduces the amount of knee available if you like. I’m old enough to remember engineering (tube!) cameras where the saturation level was not much more than the light level corresponding to peak white after processing. In that case, ANY negative gain would mean that no matter how much light fell on the tube, you could never get the output up to 100IRE. Move forward and nowadays (say) 90IRE after processing is given quite a few stops short of sensor saturation. And that’s the latitude that enables the camera to retain detail in the highlights – no longer are skies peak white. So think what negative gain will now do. If at 0dB (say) 90IRE is reached with (say) four stops below sensor saturation point, it follows that at -12dB you’ll be only 2 stops below saturation to expose to 90IRE. In other words, the camera is LESS able to handle highlights, yes? Hence, if filming in sunlight, negative gain is not a good idea – it’s likely to make highlights burn out more easily. OK, it’s possible that there may be simply too much light and you don’t want to control it by aperture for DOF reasons, and negative gain may be tempting. But far better to leave the camera at 0dB and use an extra two stops of ND. “0dB” is not arbitrary – it corresponds to the amount of light input to the sensor for optimum camera performance. Increase gain and it’s intuitive to see the noise level increase, less intuitive is to comprehend how negative gain makes the dynamic range worse. For optimum performance, stay at 0dB if possible.